Roman Catholics in the Democratic Republic of Congo on Friday heeded a call by Pope Francis to pray for peace, two days ahead of a planned protest against the regime. People flocked to a 6:00 am (0500 GMT) mass in the cathedral Our Lady of the Congo, the biggest in Kinshasa, ahead of a march on Sunday called to press President Joseph Kabila to quit power. The two previous marches were banned by the regime and dispersed with live ammunition, claiming 15 lives, according to the church, while the authorities say the death toll was two. "In union with Pope Francis, let us pray that the Lord puts his peace in all our hearts," the celebrant urged worshippers. The pontiff has urged them to pray for peace both at home and in South Sudan, torn by a complex conflict with ethnic overtones. 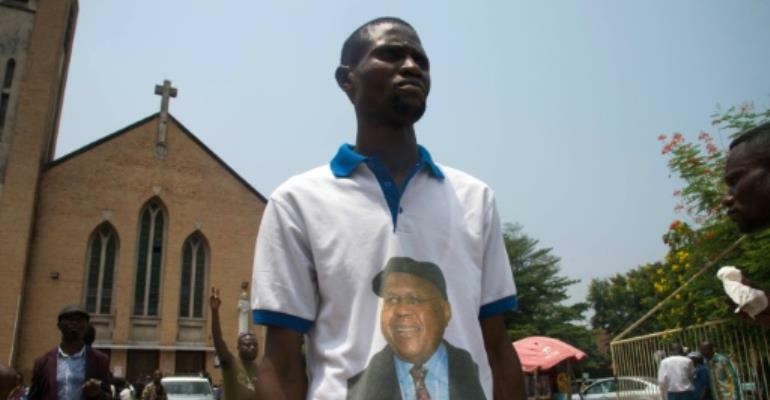 The latest peaceful protest in Kinshasa was called by the Lay Coordination Committee (CLC), an organisation close to the church, which is an influential force in the troubled country. Kinshasa city authorities have "neither authorised nor banned" the planned march, according to officials who said they had not been contacted by the organisers. AFP was unable to reach the CLC, which has been supported by Catholic bishops who urged the people "to remain upright and watchful". Political tension around the vast central African nation has grown since Kabila's second and final elected five-year term expired on December 20, 2016. He remained in power, citing the constitutional authority to do so so long as his successor has not been elected. Kabila first took office in January 2001 after his father Laurent-Desire Kabila was assassinated by an aide at the height of the Second Congo War, which drew in foreign armies and ended in 2003. Kabila was first returned to power in a presidential poll organised in 2006 with assistance from the large UN mission deployed in the country, but his victory in the next election in 2011 led to cries of fraud, violence and heated protest from the church. The next elections are planned for December 23, 2018, after being postponed for two years.